Apple on Monday seeded the second beta of tvOS 11.4.1 to developers for testing. Thew second seed comes two weeks following the first beta seed of the upcoming update to the Apple TV and Apple TV 4K operating system. No new features have been discovered so far in the tvOS 11.4.1 update, meaning it is likely a bug fixes and performance enhancement fixes release, as is usual for a X.X.1 release. However, we will provide updates in this space if any new features are found. 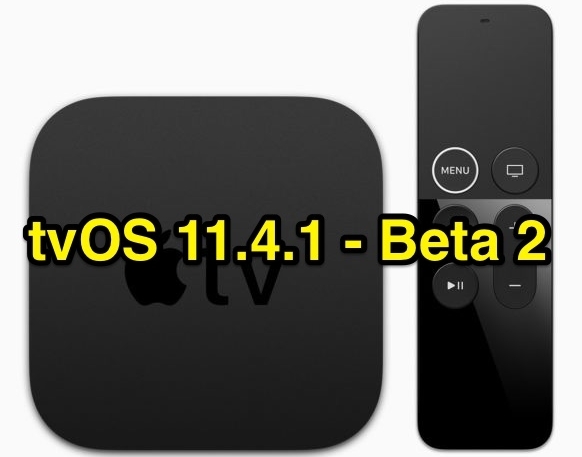 It is likely version 11.4.1 will be one of the last updates to the tvOS 11 operating system, and Apple has begun concentrating on fine tuning tvOS 12, which debuted at the company’s Worldwide Developers Conference (WWDC 18) last week.